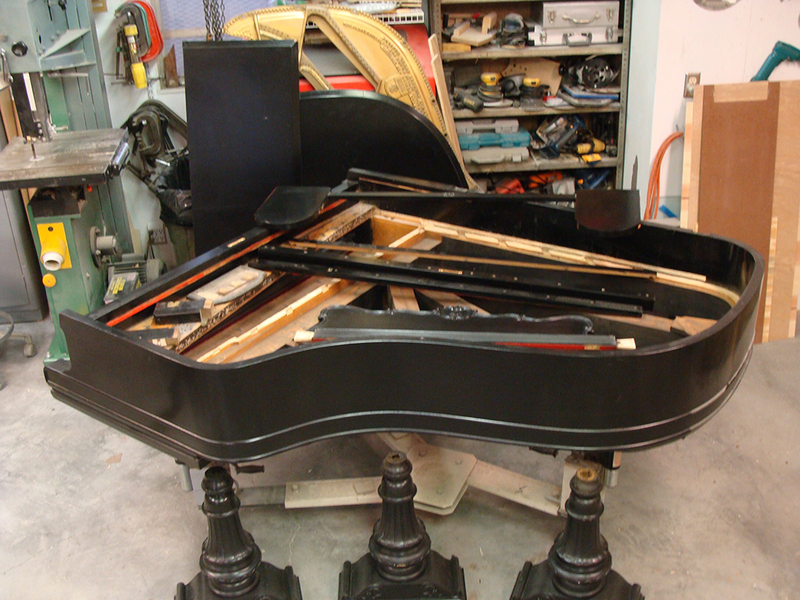 Restoring a piano involves thousands of individual steps with each step built upon the last. If these steps are done correctly, the result can be a work of art, both visually and musically. 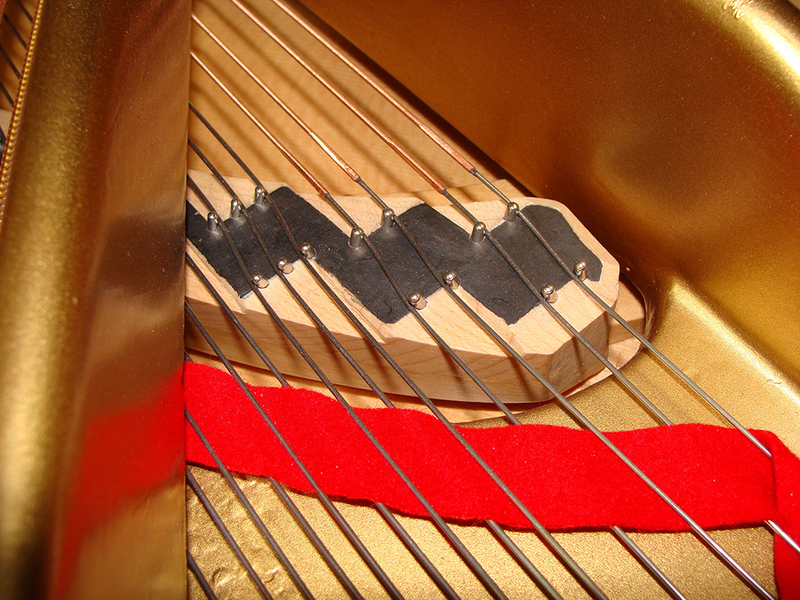 It is this layering that I find so rewarding when rebuilding a piano — restoring the soundboard assembly, the bridges, the harp, pinblock, action, case, and on and on. With each step the piano slowly comes back to life! Below are some restoration images. 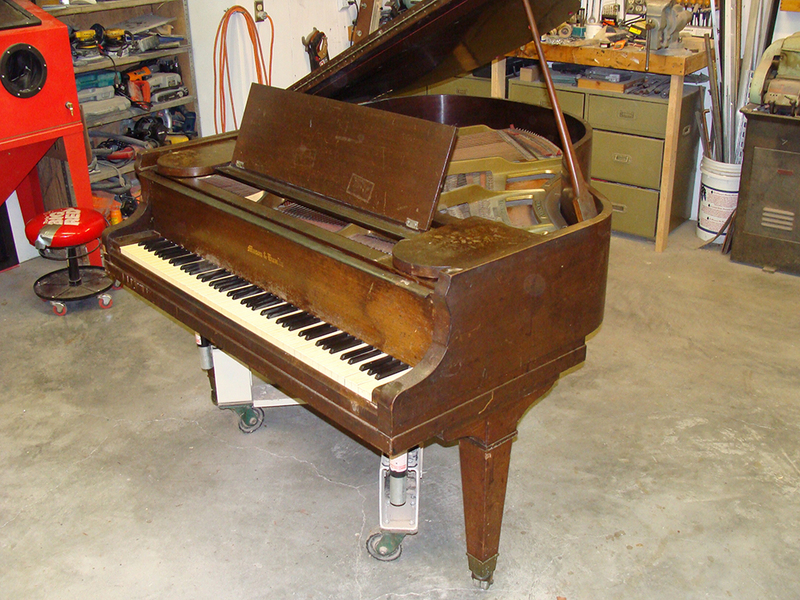 Here is a 1929 Mason & Hamlin grand piano that spent many years in a church fellowship hall. It wasn’t treated very kindly. After restoration it fits its new home quite well. 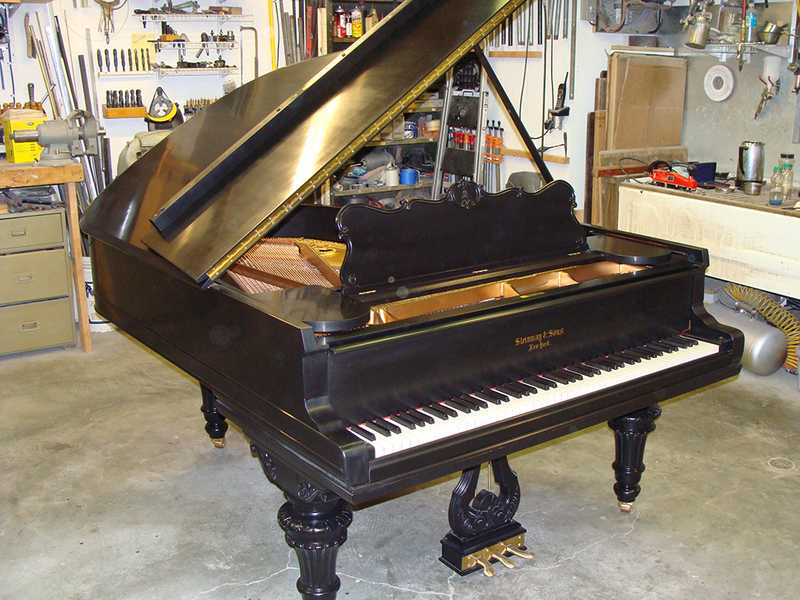 This is an early Steinway grand with “icecream cone” legs. I love the craftsmanship that went into these old pianos. The finished piano showing the music desk and pedals. 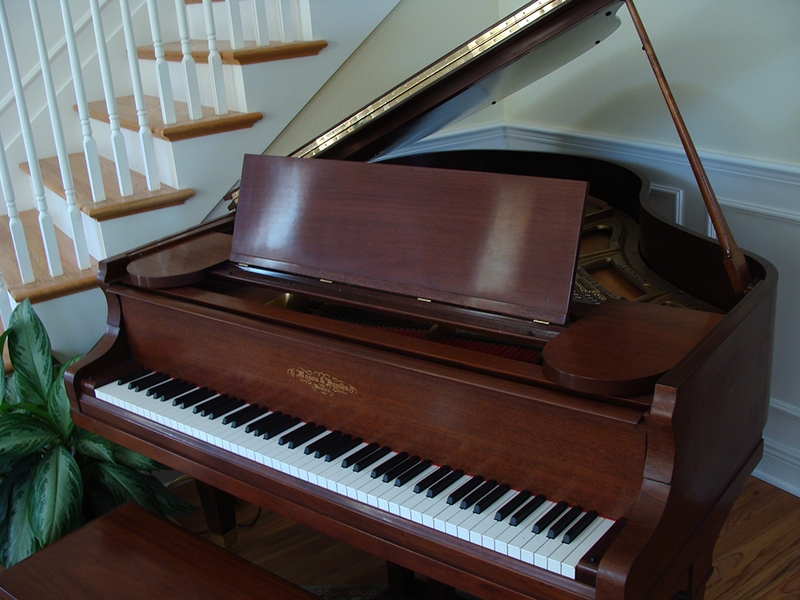 This piano received a new soundboard, new action and damper underlevers, and new finish. The original finish was ebonized which means it was chemically treated, which turned the wood into cardboard. All the parts had to be stabilized with epoxy. Mason and Risch was a company out of Toronto Canada. 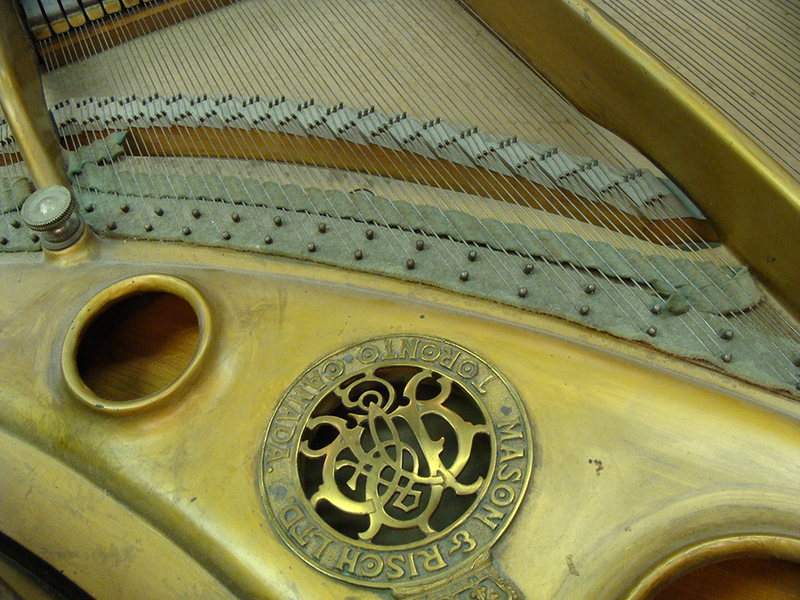 This is a view of the harp before and after restoration. 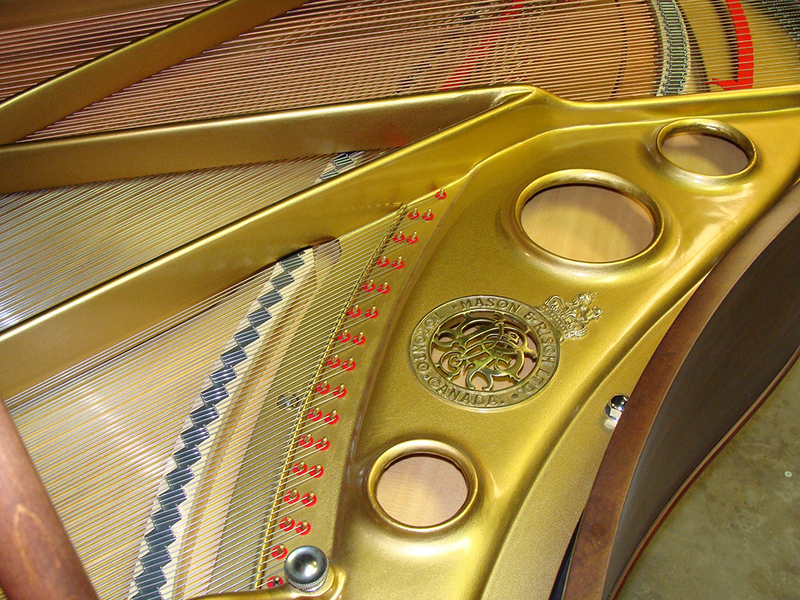 This piano also received a new soundboard and bridge caps. 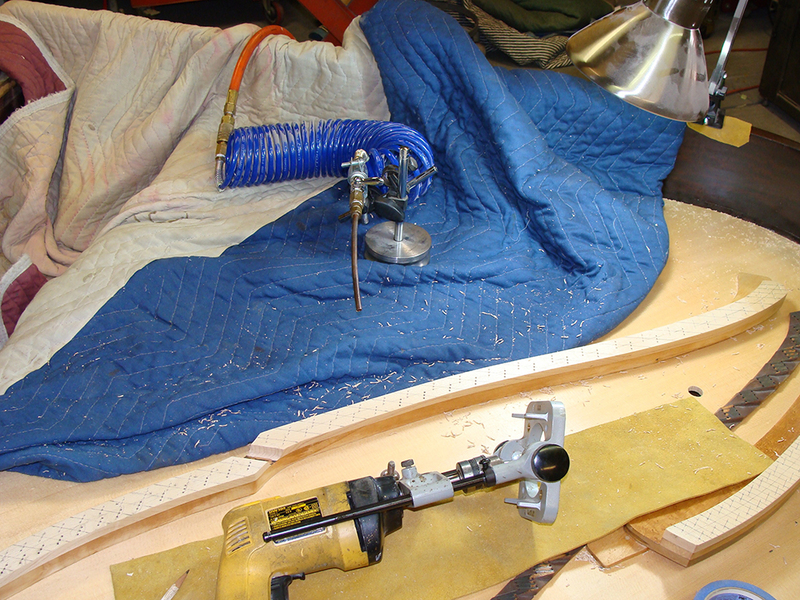 Recapping a bridge - After the new caps are installed, a unison pattern is created using the hitchpins on the harp. It is usually necessary to tweak the pattern to get even spacing of the unisons. Using the hitchpins ensures equal side bearing on the bridge pins. The bridge pin layout is created using a simple fixture, which is aligned with a line centered on the bridge (usually) and two parallel lines are drawn representing the pin location. 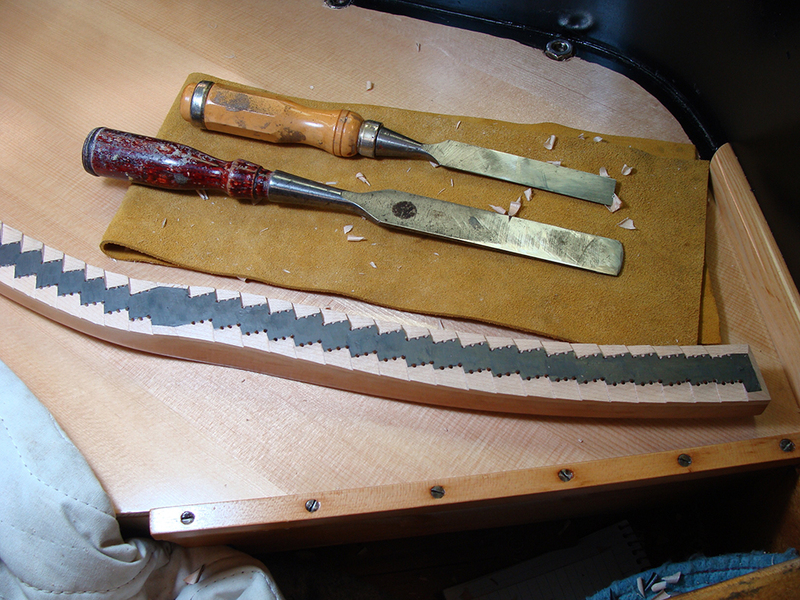 A thee–pointed punch is then used to establish the pin positions (not shown). 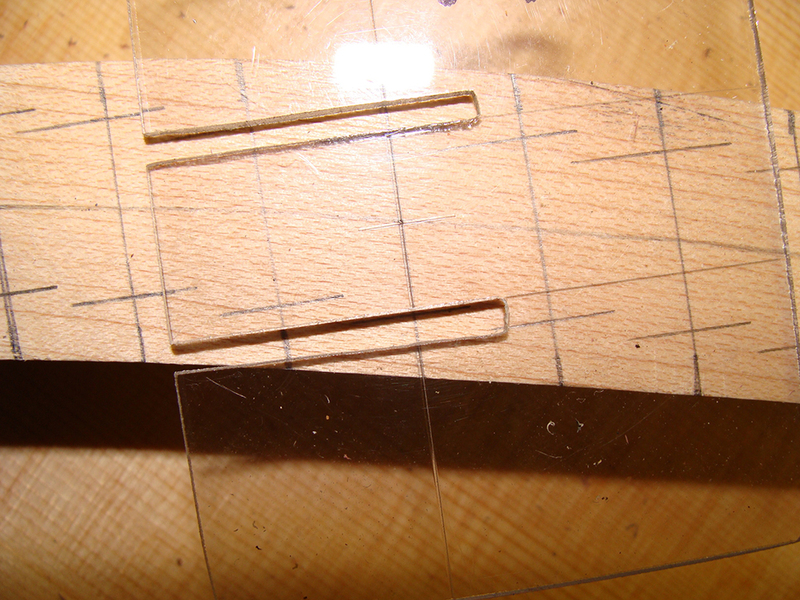 Next the bridge pin holes are drilled using a drill guide. Now it’s time to notch the bridge. This is a highly skilled job that takes lots of practice. The finished bridge. 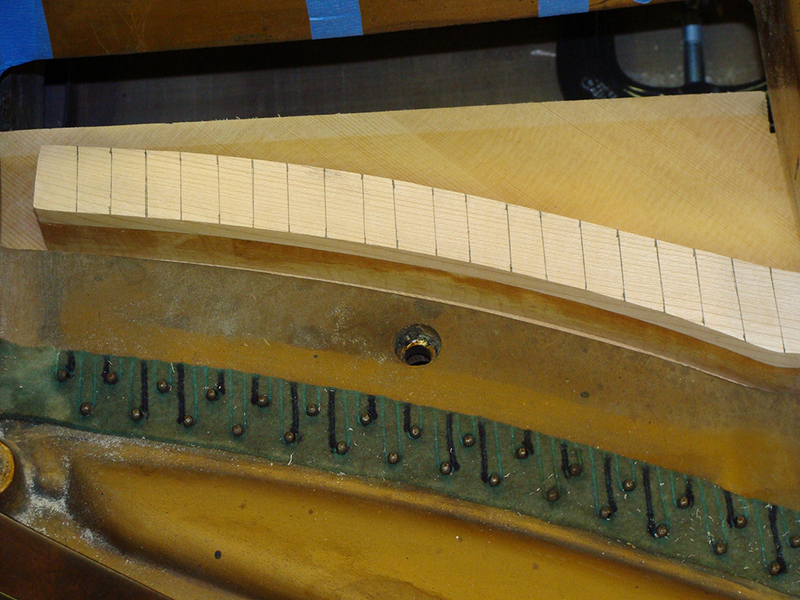 This is the lower end of the treble bridge showing the addition of four bass strings (two notes). These notes were originally treble wire, but the bass strings give a better transition from bass to tenor.